The auto industry is quite a diversified sector that includes businesses involved in the design, manufacture and sales of motor vehicles. Auto parts like engines and motor bodies are also produced by these businesses. The principal products of the industry are passenger automobiles and light trucks. Heavier commercial vehicles, another part of the industry, are secondary products. The performance of auto industry is crucial for anyone in the industry or associated industries like the auto parts, auto lending, auto financing or pink slip loans in Los Angeles. An auto industry analysis would provide the newest trends and the biggest opportunities in the economy to assist these businesses. Considering the whole US economy, the present automotive industry is one of the largest in terms of total value of products. The US automotive market employs the most number of workers in the economy, with a significant number of American businesses relying on the automotive industry. Moreover, automotive industry sales represent more than one-fifth of the country’s wholesale business and more than one-fourth of its retail trade. In some ways, many would consider the auto industry as the backbone of the US economy. Moving forward, the automotive industry has a relatively strong growth potential, indicating lucrative profitability for those in the industry. The US auto sales has been projected to reach 17 million units by the end of the present year. The recent annual sales has been high, reaching pre-recession levels. In fact, 2014 saw a rise in sales by 5.8% which is the most since 2006. The increased growth is also expected to continue for another couple of years, making the auto industry suitable for investors looking to start an automotive-related business. Moreover, the auto industry is experiencing tremendous growth because of advancement in gas-mileage efficiency. To lower gas prices to customers, automakers are coming up with more fuel efficient models to offer to customers. 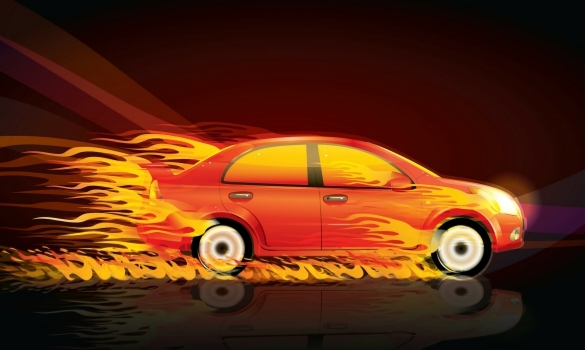 As a result, innovations in terms of fuel efficiency has been on the rise. As of 2015, 492 vehicles have been manufactured which achieve 30 mpg or higher highway fuel economy. Additionally, the usual R&D time required on newer technologies varies between 5-10 years. Therefore, we can expect more innovations and inventions to reach the market in the near future. However, there are some challenges that can pose a threat to the auto industry’s robust growth, according to CSR consulting. In fact, industry experts observe three main issues that can significantly impact the auto industry. We will cover all three below. Firstly, the shifts in consumer demand can have a major effect on the overall industry condition. Consumers are expecting relatively expensive infotainment systems as part of standard features. The general tendency among consumers has also shifted away from traditional brand loyalty. They are now more open to new brands that offer sophisticated add-ons. The market is more competitive as product differentiation has been declining. Electric cars are one of the top auto industry trends of this year. Consumers are becoming increasingly environmentally-conscious. Thus, they are beginning to develop concerns of the environmental sustainability of their own personal cars. Now, automotive producers are upping their R&D investments to develop new electric cars to meet these demands. If you are hoping to break into the auto industry, electric cars and environmental protection strategies should certainly be on your radar. Secondly, the auto industry regulatory organizations are emphasizing safety features. Auto makers in international business around the world are required to comply with these policies, such as installing back up cameras as standard features. Some organizations want to require minimum fuel efficiency, creating a challenge to meet regulation standards in addition to customer demand. Certainly, the regulatory environment could be costly to the auto industry, but worthwhile for their customers. Lastly, technology is helping consumers make more informed buying choices according to recent industry reports. Customers are now more informed about car specifications, prices, features, performance and other attributes which gives leverage to bargain. The auto industry can take advantage of this situation by properly implementing data collection systems and gain knowledge about what works well among the customers. However, the customers will generally get a better price as a result of technology. If you are located in the United States and are interested in doing business here, you would probably appreciate specific information on this particular geographic location. Lucky for you, the automotive industry is experiencing historic sales records, unlike the Canadian debt experienced by our northern neighbors. In 2015, just under 17.5 million cars were sold. That is a 5.7% increase from the prior year, and translates to over 100,000 more cars sold than the previous record of 17.4 million cars in 2000. If you are looking to break into business in the American automotive industry, now would definitely be the time to do so. I would start looking for a business bank, if I were you. The Auto industry has been experiencing noticeable growth which is likely to sustain for the next few years. In order to capitalize on this opportunity, auto industry stakeholders should provide better customer experience by looking into their demands. By executing advanced supply chain management, maintaining good connection between suppliers, manufacturers, dealers and customers would be highly profitable in the auto industry.